Air Journey's Concierge Service allows pilots to design their perfect Journey with the freedom of their dates, their destinations and their budget. Use our 80 combined years of expertise and knowledge to create your ideal itinerary whether for business, pleasure or a ferry flight. Our Concierge service is available to all pilots and airplane makes from business jets to experimentals, we would love to help! The "Concierge Journey" is ideal for motivated and adventurous pilots seeking to expand their horizons. It is the solution for pilots who are unfamiliar with the area they are going to visit, would prefer to save time by having the journey preparation done on their behalf, and would appreciate a 24-hour contact who is available during their vacation for any delay, weather, mechanical issue or other problem that may arise. Air Journey can arrange a private journey to the destination of your choosing with a customizable tailor-made itinerary or you can turn any of our pre-arranged itineraries that are researched and ready to book into a concierge journey. Rerouting in case of bad weather, unrest, political situations, etc. 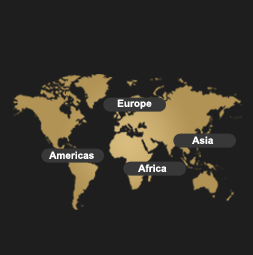 To start planning your Concierge Journey today,Our Concierge Service for Journeys to South America, Europe, Africa, Australia and Around the World are priced to be advised (TBA) due to their dependency on the number of stops planned. L. Bradford and P. Dickinson - London UK. "Without the extensive concierge travel services provided by Air Journey, it never would have been possible for us to organize such a thrilling, varied and well-coordinated solo self-fly journey through Central America. Not only was all the flight planning done for us, an exciting itinerary was planned with all hotel stays, guides, transportation etc. organized in advance. When weather demanded a change in itinerary, Sophie quickly made all of the necessary arrangements and adjustments to our schedule, allowing us to make the most of the time we had. Our trip was a unique and exciting experience, and we are now in the process of arranging another individually-tailored adventure through Air Journey. Whether you plan to fly alone or in a group, we highly recommend you trust Sophie and Thierry to help you plan an unforgettable adventure!"